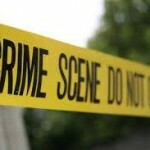 This is the sixth in a series of six bank robbery incidents in Santa Ana and Fountain Valley. At 3:13 p.m., the suspect entered the Bank of the West. After providing the demand note, the teller gave the suspect an unspecified amount of money along with a tracking device. After the suspect left the location authorities immediately began tracking the signal. An employee exited the bank and observed the suspect drive off in a blue Chevy Suburban. Officers were able to pinpoint the tracking device to the rear of a local restaurant (3713 S. Bristol). Upon arrival officers found the vehicle unoccupied and quickly determined the suspect had removed the tracking device, threw it under the car and had left the area on foot. #1 02/25 approx. 9:30am – Bank of America (3730 S. Bristol Street, Santa Ana) – suspect fled with an unspecified amount of money. #2 02/27 approx. 11:15am – Wells Fargo (1801 E. 17th Street, Santa Ana) – attempted robbery. #3 02/27 approx. 12:05pm – Bank of America (16192 Harbor Blvd., Fountain Valley) – attempted robbery. #4 02/27 approx. 12:48pm – Bank of America (2015 W, 1st Street #A, Santa Ana) – suspect brandished a weapon, was unsuccessful and fled the scene. #5 02/27 approx. 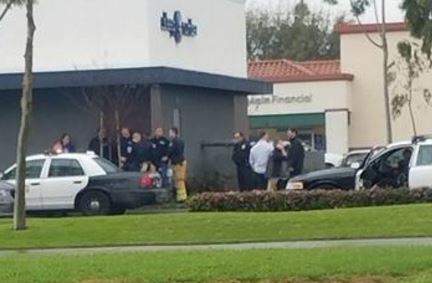 2:52pm – Chase Bank (3600 S. Bristol Street, Santa Ana) – attempted robbery. Booking photo not available at this time.